Sheraton Dubai Creek Hotel & Towers has appointed Joseph Yohannan as chef de cuisine for its popular Indian restaurant, Ashiana. 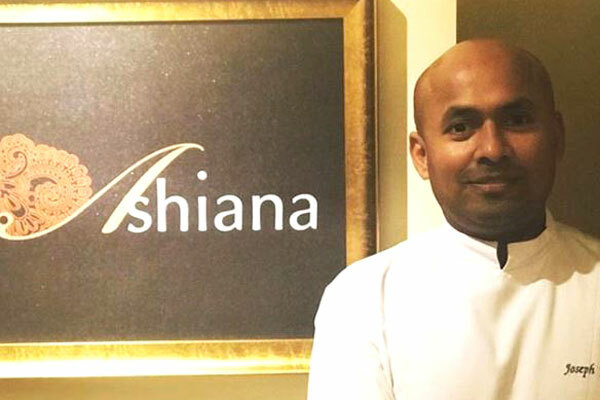 Yohannan, who has been with the hotel since early 2014, will now redirect his focus to rejuvenate Ashiana essence. “Chef Joseph has been an integral part for our team for four years and perfectly understands the ethos and culture of the brand. His experience and unmatched knowledge of Indian cuisine will add a delectable touch to Ashiana’s flavours,” said Stephan Vanden Auweele, area general manager, Sheraton Dubai Creek Hotel & Towers. Born and bought up in Kerala, India, Yohannan was always inspired by the art of cooking. Since an early age, helping his mother in the kitchen was his favourite pastime. While regularly visiting the vegetables market taught him how to choose quality ingredients, assisting his mother with cooking engrained the little nuances of fine cooking. Yohannan further strengthened his culinary interests by pursing a diploma in culinary management after which he started working in a reputed luxury hotel chain Taj group in 2001. Following an intensive three-year stint, he joined Le Meridien Al Aqah Beach Resort, Fujairah. His career growth took him back to India briefly after which he returned to the Middle East to work with leading luxury hotel brands such as Taj Sheba Hotel and Movenpick Resort & Spa in Yemen between 2007 and 2010. He then moved to Dubai to work for prestigious brands like Le Meridien Mina Seyahi and Westin Mina Seyahi before joining Sheraton Dubai Creek Hotel & Towers.